PSI operates in a teamwork environment, collaborating with industry specialists working with you and your team to address your specific needs as well as providing advice and recommendations based upon years of experience in Health Care. We are committed to establishing lasting business relationships that are built upon shared goals, an understanding of client needs, and mutual trust. Precision Surgical Inc. (“PSI”) is a network of trained professionals who collaborate to satisfy the clinical needs of healthcare partners by distributing quality medical products, providing service solutions, as we work to improve patient outcomes and prepare for the future. Partnering with PSI ensures a teamwork environment with industry specialists working with you and your team to address your specific needs providing advice and recommendations based upon years of experience in healthcare. 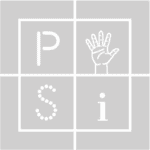 PSI representatives are committed to establishing lasting business relationships built upon shared goals and mutual trust. PSI represents more than 75 leading high-quality medical equipment and product manufacturers. Whether you are designing a completely new medical center, or planning for the renovation of an existing facility, our experienced sales representatives are always available to help you select the right equipment to meet your project’s specific needs. Our sales consulting staff works with you through each phase, from planning to implementation. Our goal is to work diligently and make sure we fulfill all your equipment needs.